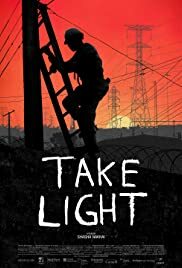 TAKE LIGHT is a look at the tangled wires of Nigeria’s electricity crisis, told through the everyday trials and tribulations of a charismatic electrician. A web of corruption and anger leaves 50% of Nigerians without electricity in Africa’s largest energy-producing country. The film opens saying that Nigeria produces more gas than any state in Africa. Yet 50% of the population are without electricity and those who are with have it for a few hours at most. The film blames the corrupt post-colonial Government. These are everyday stories of people connected to the grid. Being an electrical engineering by profession who got a job at Singapore Power but did not work there as I just got my Canadian immigration approved at that same time, I take special interest in the technical portions of the film – like how the control room at the power plant operates. The director keeps the engineering jargon at a minimum so that the layman can understand the basic principles of power generation, such as the reason blackouts occur. The reason is attributed to two causes. Despite the grim subject, the director does not fail to provide some needed humour. 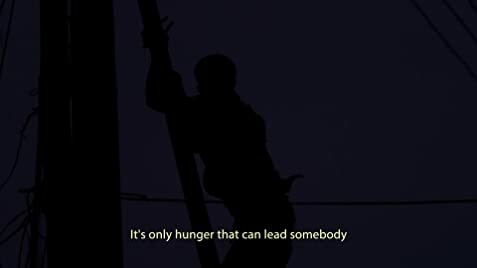 The film also tracks the PHED workers as they cut off electricity supply to the cities that default on their payments. The PHED is the new name for the Government Power Supply company though every Nigerian still insists on the old name – NEPA (acronym: Never Expect Power Again). In a humours spill, they say that the are the most hated employees in Nigeria. Everyone also thinks they are corrupt. One swears that on the job application form, one has to declare that one is corrupt. Also interviewed are James and Harry, in the words of Harry: “We are James and harry, two angry men on YouTube.” They complain about the dwindling value of the currency. A few reasons to see TAKE LIGHT: one is that few films provide a glimpse inside the country of Nigeria and her people. The second is a fairly understandable examination of the workings of a electricity power plant. The third is to witness how the Nigerians deal with public corruption. The film shows two sides of the argument. The camera follows the citizens complaining about power outages. The PHED or NEFA CEO, Jay McCowsky is interviewed mid-point during the film. The film also includes a very disturbing image of from space, at night. Nigeria is awash in light. But the glow almost entirely flares from oil and gas wells – accelerating global warming and polluting the planet. The country, with the world’s largest proven oil reserves, leaves half its population without electricity, and the rest with erratic service. Before its opening run, TAKE LIGHT has a Special Event Screening on October 29, 2018 at the Hot Docs Ted Rogers Cinema where director Shasha Nakhai, Cinematographer/Editor Rich Williamson, Producer Ed Barreveld (who also narrated the doc) will be in attendance and holding a Q+A following the screening.